Training of Motivators (ToM) on Community Approaches to Total Sanitation (CATS) has been facilitated by FF at Seoni from 18 – 21 Nov, 2017 to augment and accelerate the implementation of SBM (G) in the district. 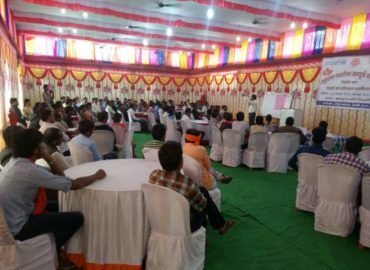 A total of 121 participants from all the 8 blocks of Seoni were part of this workshop. The participants were motivators selected by the respective blocks. This workshop was organized by the District Administration, Seoni with the technical support of UNICEF.